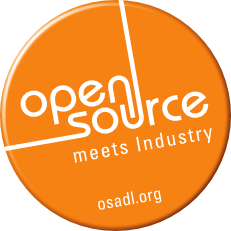 The goal of the Open Source Automation Development Lab (OSADL) is to promote and support the usage of Open Source software in the automation industry and for embedded systems. For the time being, these activities mainly focus on the Linux kernel but are, by no means, restricted to it. In addition to the development of Open Source software components, OSADL has expanded the principle on Open Innovation to the conveyance of legal advice, to technical support, to marketing activities and to conferences, seminars and training courses. What can I get from this Website?